After all of the hectic schedules of the wedding is over, the newlyweds need some time to relax with their new life partners. They need a fabulous vacation in an exotic location, that will drain away their tiredness and help them move forward for a fresh start in their new journey of life. 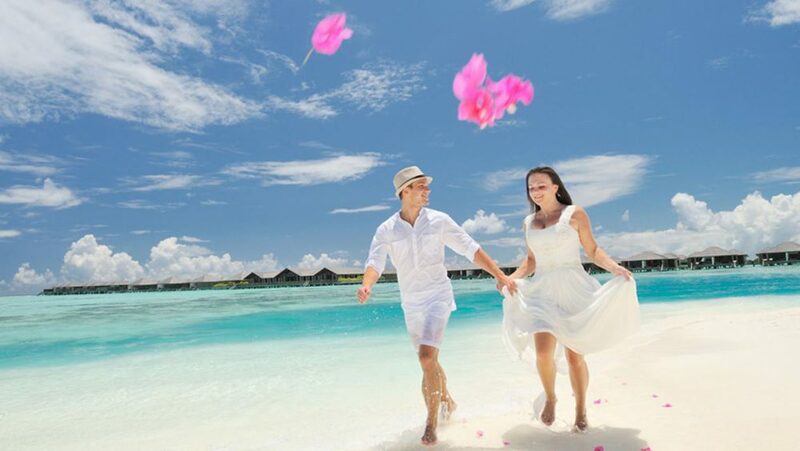 As a result, they need to go for a honeymoon trip that creates long lasting memories of enjoyment, intimacy, as well as a romantic ambiance and an exciting atmosphere. Istanbul: Istanbul is one of the hottest honeymoon destinations and it is quite famous for its natural and scenic beauty. Being one of the most important cities of Turkey, Istanbul also offers different shopping centres as well as vibrat nightlife experience for the newlyweds. They can explore the city to a greater extent while enjoying phenomenal, scenic attractions together. Cappadocia: Cappadocia is one of the most spectacular places for spending a honeymoon vacation in Turkey. Most of the couples celebrate their wedding in hot air balloons while floating above the chimney like formations of the Cappadocia landscape. This could be one of the most memorable moments that will last for a lifetime. However, there are also many couples who decide on a historical cave church wedding. Antalya: Antalya is one of the most popular honeymoon destinations in Turkey. It is also considered to be a very significant city along the Mediterranean coast. Being surrounded by harbour, exotic resorts, spectacular nightlife, different shopping malls, as well as restaurants, you could experience great entertainment visiting this place. This place truly brings the fun for the young honeymoon couple and mesmerizes them with magic and tranquility, while also catching up with the beauty of the Turkish countryside. The Lara Beach: The Lara Beach can prove to be one of the wonderful honeymoon destinations in Turkey. Here, you can avail of various luxurious accommodations in hotels that are situated alongside the golden sandy beaches. The Lara Beach is just 16 km from the Antalya centre and is one of the most ideal places for enjoying a relaxing honeymoon. But, those who are in favour of experiencing some a more offbeat honeymoon destination in Turkey, should surely opt for Konakli. Konakli: Konakli is a small traditional town in Turkey offering a wide range of options for water sports and activities. The shingle beach of this region showcases the best Turkish restaurants where you can experience with your new partner the taste of traditional Turkish food. One can also plan an exciting coastal boat cruise there. These were just some of the major tourist destinations which you could visit for your honeymoon vacation. Other popular honeymoon destinations in Turkey may include Colakli, Denizyaka, Beldibi, Tekirova and Goynuk. Ryan Holman is a professional blogger and tour advisor too. Here he is sharing top honeymoon destinations of Turkey that one can visit.